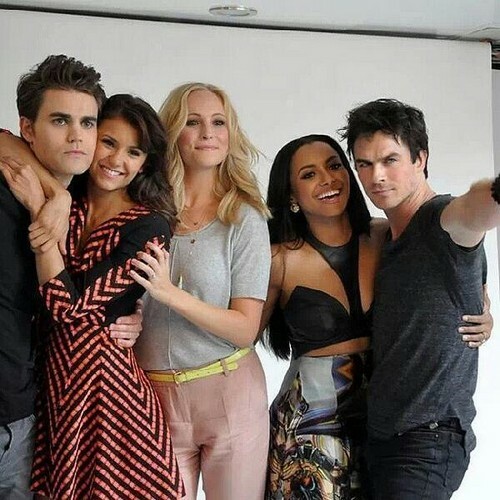 Paul with the TVD cast at Comic Con 2013. . Wallpaper and background images in the Paul Wesley club tagged: paul wesley 2013 photos comic con nina dobrev kat graham ian somerhalder candice accola. This Paul Wesley photo might contain bridesmaid and maid of honor.